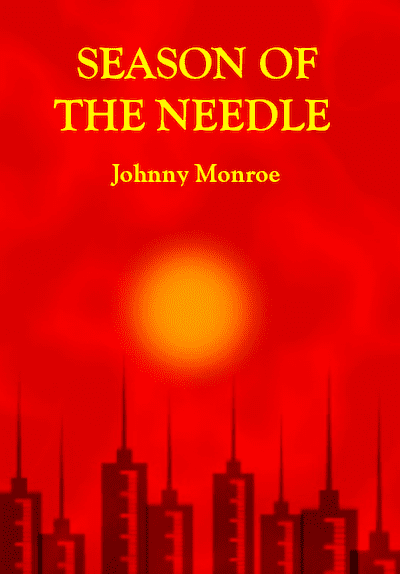 You might assume from the title that you know what you are going to get when faced with Johnny Monroe’s self-published novel, ‘Season Of The Needle’. You’re probably thinking it’s a tale of woe and addiction, of life in the raw, all told unflinchingly with generous dollops of prostitution and drug use thrown in, and, well, you’d be right, but that’s no reason not to give it a chance. What elevates this genuinely harrowing, purportedly real-life, tale above the other tales of similarly grim realities, is a dark humour that looks the darkness square in the arterial veins and says, “wow, look at this ridiculous mess we got ourselves into.” Our narrator here doesn’t ask for sympathy or forgiveness. Our narrator frankly doesn’t want your sympathy or forgiveness. What our narrator wants is to tell a rollicking tale, and I fail to comprehend a better reason for writing a book than that. As a self-published work, it is rough around the edges and lacking those kind buffing and tweaking shine-jobs that a publisher would hopefully lend to a book. In one sense though, that makes the tale feel ever more authentic, and in another – we’ve all read Dan Brown right? A big publisher is no guarantee of having a handle on correct grammar usage. 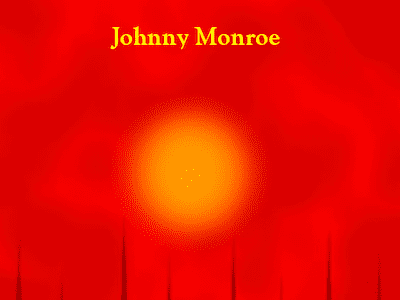 The truth is Monroe writes very convincingly and his thoughtfully constructed, and bravely told, narrative deserves some attention. ‘Season Of The Needle’ bears more than a passing resemblance to Polly Trope’s recent work ‘Cured Meat’, showing a similarly seedy underbelly that lurks beneath the veneer of the city streets we walk on a daily basis. Though such thoughts can be frightening, and these tales represent that world with such lucidity, it is worth noting that in spite of such horrors and trials, there is a way out of that underworld for the characters presented here. There is solace in that. Everything here is presented with great sincerity, but without sentimentality, and this allows the humour to creep through. Not for the faint of heart, but if you prefer your seasons sharp and undiluted this could just be the needle for you.